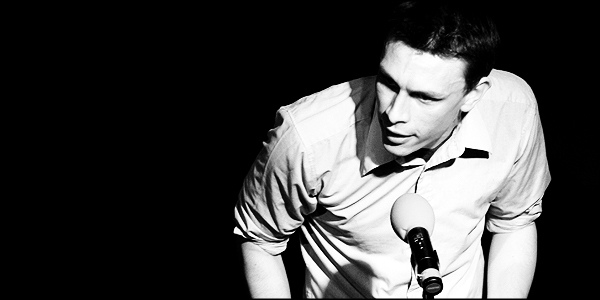 Review: Richard Gadd, Matthew Winning, Stuart Mitchell (All The King’s Men) – Espionage, Edinburgh. If you can avoid the temptation of the larger venues and mainstream comics in Edinburgh this August, the Laughing Horse Free Festival has a surprising amount of hidden talent on offer and the only charge is your time and attention. No show has this been truer of than ‘All The King’s Men’, where Scottish comedians Stuart Mitchell – winner of Leicester Comedy Festival’s ‘New Act of the Year’ award – Matthew Winning and Richard Gadd all put on stellar performances in their intelligent, compelling show at Espionage. Stuart Mitchell held the crowd’s attention with clever anecdotes that sent his audience one way then another before hitting them with a quick succession of punch lines and call-backs that were genuinely surprising and amusing. This is especially true with his polished, one-liner-heavy routine on M and D’s Theme Park. Mitchell’s use of props was also very clever, most memorably during the brilliantly delivered gag about his dead nana and his cheap yet entertaining bible stunt. Chortle Student Comedian of the Year finalist Matthew Winning’s dry delivery was similar to Mitchell’s and proved highly effective, however his routines were darker in style than the opening act. Winning’s set felt a lot more structured, too, bizarrely using Robert Mugabe as a reference point throughout. His man size tissues anecdote, however, must leave his set sooner rather than later. Lacking in any kind of punch line or purpose, it has no place in an otherwise good set of routines by the Scottish comic. However Richard Gadd stole the show. He displayed fantastic energy and enthusiasm in his set, a quality that contributed hugely towards the success of his on-stage persona. Gadd performs an act many comedians try (and fail) to perfect – he makes nonsensical jokes and bland comedy tradition (his Englishman, Irishman and Scotsman joke comes to mind) funny with his anti-comedy routine. This is, in part, due to his great timing and the superb delivery of his material, often finishing a joke off with crude and shocking punch lines. But in some cases I couldn’t tell you why Gadd is funny – when he points at the crowd after each gag is a prime example – only that he is, and he’s my pick of the Laughing Horse Free Festival so far.